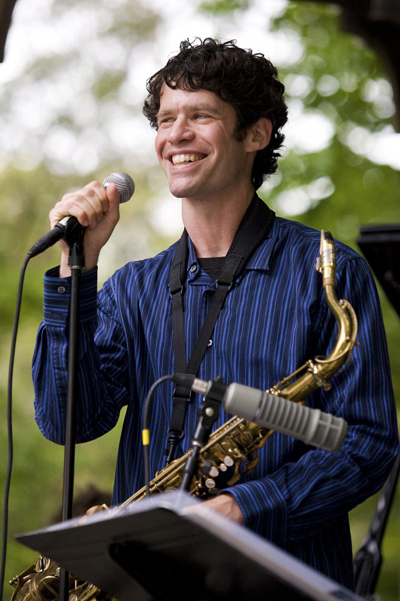 Jazz saxophonist Anton Schwartz has been drawing listeners in with the power, spirit and subtle complexity of his music since he bounded onto the San Francisco jazz scene in 1995. Anton quickly gained an enthusiastic following as music fans responded to what the San Francisco Chronicle called his "warm, generous tone, impeccably developed solos and infectious performance energy." In the years since, Anton has won over listeners and critics at high-profile jazz venues across the country, including the Blue Note (NYC), Blues Alley (DC) and the Monterey Jazz Festival. 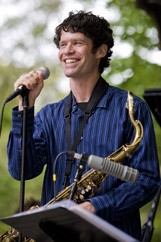 His appearances at Yoshi's in Oakland draw capacity crowds; one such concert was broadcast nationwide on NPR's JazzSet in 2005 and 2006. His four CDs have earned sterling reviews and strong airplay, with his most recent CD, Radiant Blue, landing Top Five on the national jazz radio charts.